Talking about holidays before they are upon us usually drives me completely bananas. Just the other day I swore of Pinterest until October starts because people are already posting Halloween stuff and it’s, like, 5,000 degrees here in Austin Texas. BUT I couldn’t help to start today’s round-up with these Frankenstein Brown Rice Krispie Treats from Fork and Beans because they are soooo cute and I love rice krispie treats and I can imagine eating these while rocking out to The Edgar Winter Group’s Frankenstein. I wish I could play the keytar. 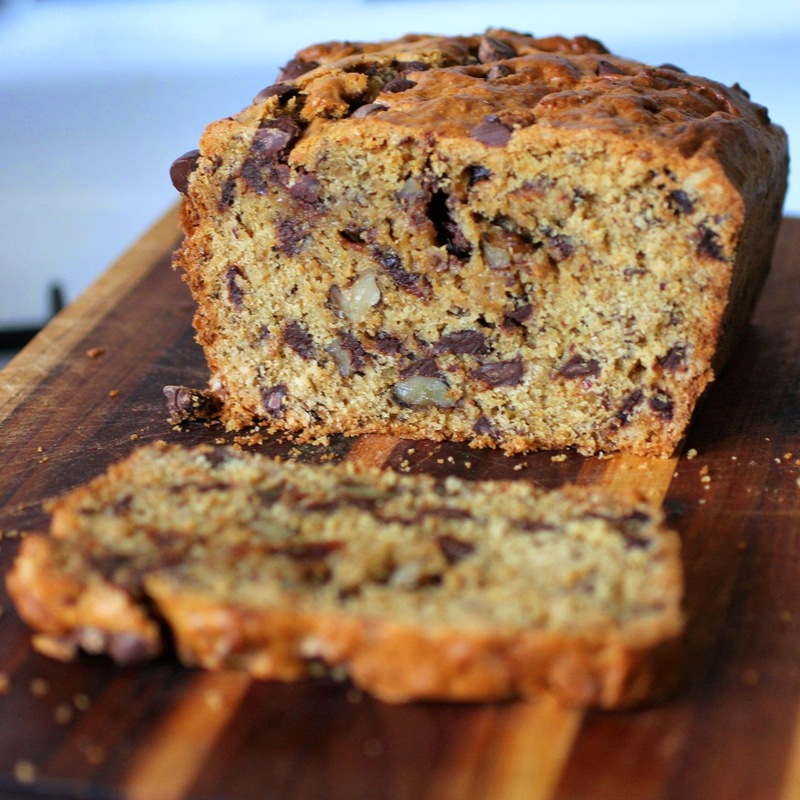 Do to the aforementioned 5,000 degree temperatures I’m not going to fire up my oven anytime soon but if I was I would totally make this Chocolate chip, walnut and date sourdough cake from Green Gourmet Giraffe. It looks so comforting and delicious. 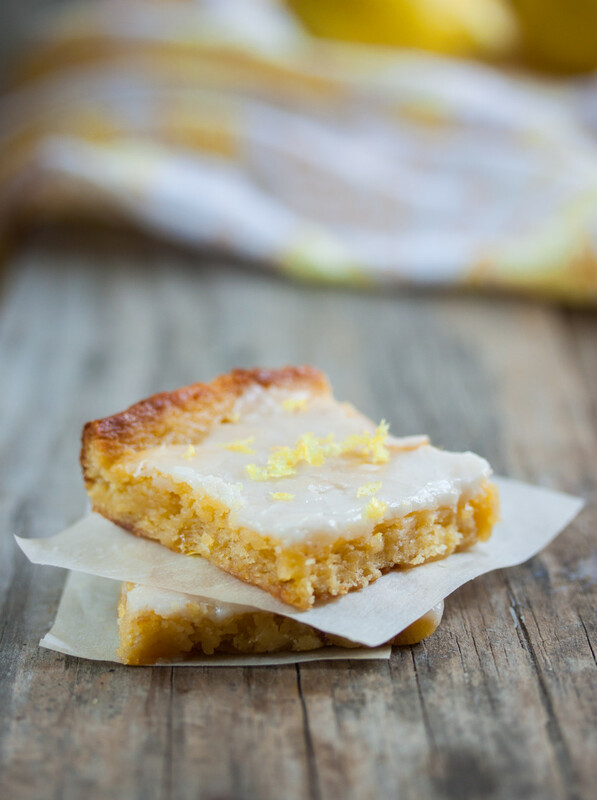 Sticking with the dessert theme but maybe a little more summer-y I spied these lemon bars from the one and only Allyson Kramer which looked like ideal post pool food. I also saw a Gluten-Free Chocolate & Coconut Tart on Chic Vegan that looked incredibly creamy and delicious. And after all that dessert there was even a healthy meal that caught my eye. Probably because it was served in a tray that looked like a car and I guess I’m a two-year old at heart. Sometimes I do get so hungry that I could cry so it’s not that far off. 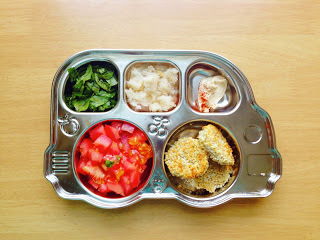 Check out Michelle’s tiny kitchen and see how she gets her children to crave farmer’s market lettuce in her post Baby Led Lunch: Greenmarket Salads. Those crispy chickpea bites look pretty delicious too. And that’s the Tuesday wrap up. Catch you later Mofo’s! So much good food! I would love to eat one of those green monsters. And I love that car tray. everything looks and sounds amazing!!!!! I also hate holiday talk before the month of whatever holiday people are trying to talk about. 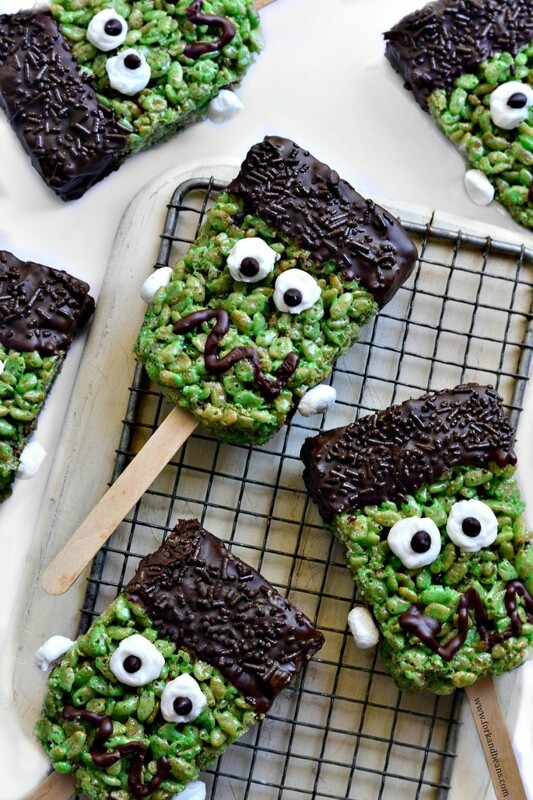 But those Frankenstein treats are ADORBS!!! I am so pleased to have discovered Allyson Kramer through this year’s Vegan MoFo — she’s got so many gorgeous desserts that are also GLUTEN-FREE!! So I can eat them! Thanks for yet another roundup batch of great recipes I need to go check out! Thank you for the feature! Very excited to participate in Vegan MoFo for the first time!